This is Captain Biron, an Imperial NPC whom you meet during the main planetary storyline on Republic side on Hoth. The gist of the mission he features in is that Republic and Empire are temporarily teaming up to fight a local group of renegades. 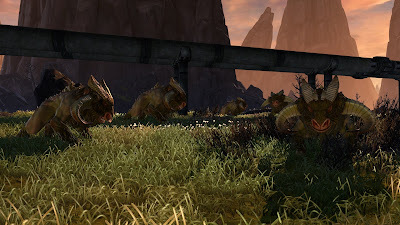 The rub is that the Republic soldiers are highly suspicious of the Imps and expect that they are being lured into an ambush the entire time, egging you on to make the first move before the Imps can make theirs. 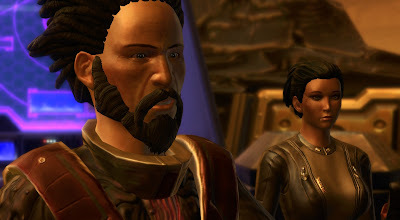 It's your choice whether you give in to suspicion or not, but if you make the light sight choice to not betray your temporary allies, it turns out that they weren't planning to betray you either, which makes Captain Biron a rare honourable Imperial and made the quest memorable to me. When I took the dark side choice last time just to see what it was like I felt genuinely bad about betraying someone who I knew (out of character) had teamed up with me in good faith. Nobody says that all NPCs have to be people! Here's a herd of Kath Hounds on Balmorra. I'm still riding mine. 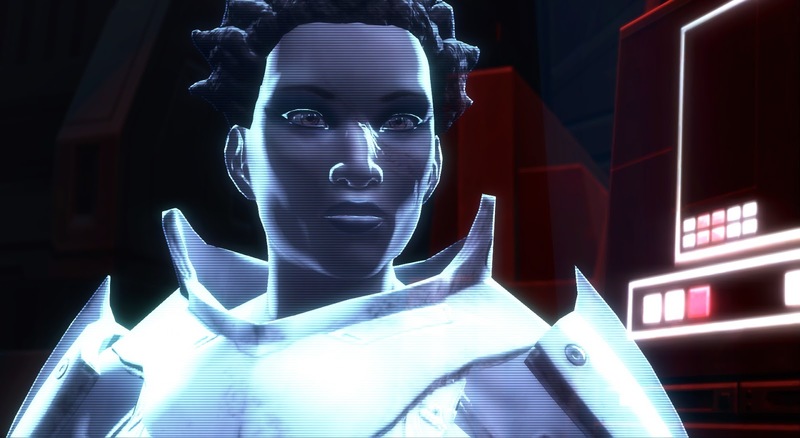 To start the Star Fortress instances on Odessen, Republic characters have to talk to a former Imperial, while Imperials have to talk to a former Republic soldier, probably to drive home the message that in the Alliance, former allegiances have little meaning anymore. This is Lieutenant Marklo, the Republic contact for Imperials, whom I find quite handsome. What with most of my characters being on Republic side, I unfortunately see a lot more of Sergeant Ahkar, whom I find decidedly less appealing. Replaying the Oricon storyline on Empire side for the first time in a while, I was reminded of what an interesting character Lord Hargrev is. He's a typical Sith, crazy and bloodthirsty as they come, but meeting the Dread Masters is a kind of reality check for him, one step too far even for an otherwise pretty crazy Sith. Also, his lady assistant to the right has Lana's voice, which is forever distracting to me now. If you go into the Nathema Conspiracy having killed Arcann and Senya, one of the people who join up with Vinn Atrius against you is a knight who was a former friend of Senya's and who's upset that you killed her. I really liked that and kind of wished we could have learned more about her. It gave a bit more texture to Senya to think of her as someone who had connections to more people than just her family and the small number of people we dealt with in KotFE/KotET. This is just my Scoundrel starting at a dancer NPC in the Rishi cantina. I don't pay nearly enough attention to what's going on in cantinas; some of the setups in them can be quite amusing. I already mentioned last year that I'm fond of taking screenshots of random Twi'lek NPCs that look interesting to me. 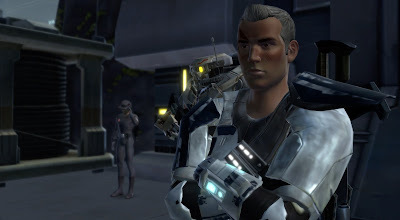 This one is a scientist in the Senate Tower on Coruscant to whom you can deliver genetic samples of the shanjaru (the animals that Drooga is planning to make extinct by eating the last of their kind) as a side mission to the main smuggler class story on Nar Shaddaa. Zera’s comments also highlight just how little we know of the Zakuul Knights as an organisation outside of them being faceless mooks. While it could be inferred that this partnership is standard it might also just have been something two friends did. Regardless, it is nice that we see a friend of a KotFE character. 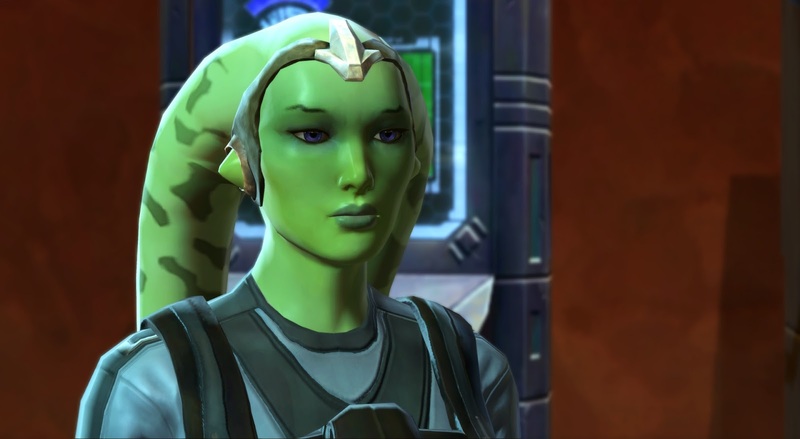 Even though Senya wasn’t as weak as some, it’s nice to get some further exposure about how she was in the past and it’s great to learn that the two were friendly enough that Zera was extended an invitation to the Alliance. 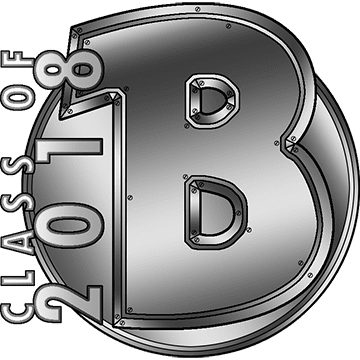 There are quite a number of NPC's I have developed a fondness for over the various classes. Though I can only remember a few of the top of my head right now unfortunatly. Lieutenant Rutau from the Okara Droid Factory mission. 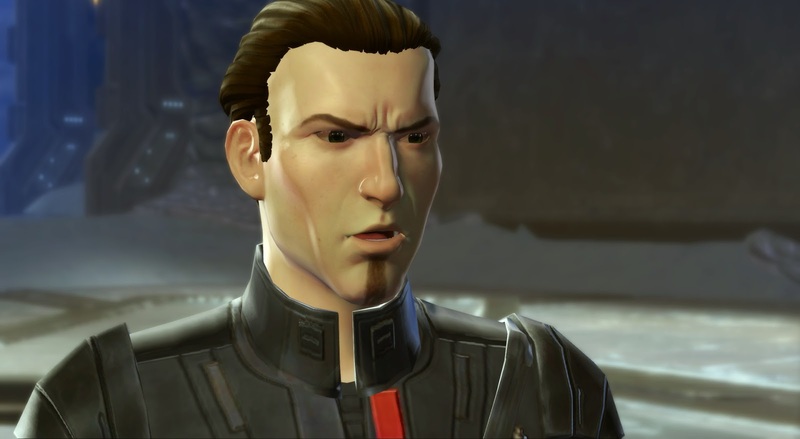 The Imperial with a Welsh accent on Dromund Kaas. That Twi'lek workman who believes he's a Sith Lord. The droid with the turret plans. "...And in not one of them is the phrase 'on fire' positive when applied to a person!". Pat-aK and Oranda from the Gree planetary quest on Coruscant. Oh, and Master Quilb, the Cathar Jedi. Just for the line, "A Flesh Raider Baby..."